The Lord Jesus said, “For as the lightning comes out of the east, and shines even to the west; so shall also the coming of the Son of man be” (Matthew 24:27). Since Eastern Lightning—Almighty God, Christ of the last days—appeared in China to perform His work, His kingdom gospel has spread across the whole of mainland China in just more than ten years. Now, it has spread to many western countries and regions, and it has shaken the various denominations to their core and sent ripples throughout the entire world. However, the most perplexing question for the leaders of the religious world is: Why is it that, although the pastors and elders in the religious world have done their utmost to resist, defame and condemn Eastern Lightning, stifle their churches and even gone so far as to collude with the CCP government to arrest and persecute the Christians in The Church of Almighty God, those believers from various denominations who have good humanity and who truly believe in the Lord accept and follow Almighty God one after another? Why is it that, though faced with the frantic resistance and persecution by the two arms of Satan’s forces—the CCP government and the religious world—not only has Eastern Lightning not been broken or worn down, but on the contrary it has continued to flourish and go from strength to strength, like shoots growing after rain, and has surged inexorably and irresistibly onward? In fact, it’s not hard to find the reason why. It would be as well to first take a look at the work of the Lord Jesus before looking into this question, and we will naturally come to find the answer. When the Lord Jesus appeared and performed His work, He was subjected to the frantic resistance and condemnation of the Jewish chief priests, scribes and Pharisees, to the point where they even colluded with the Roman authorities to nail Jesus to the cross, thus hoping in vain to ban the Lord Jesus’ work. Why then did the gospel of the Lord Jesus spread throughout the Jewish world and reach even the ears of the Gentiles? The Roman authorities savagely persecuted and massacred Christians for three hundred years, so how come the number of Christians not only did not diminish, but on the contrary grew and developed through this persecution, spreading to all corners of the Roman empire and throughout the entire world? It was because the Lord Jesus was God incarnated in the flesh, He was the appearance of God, and the Lord Jesus’ works and words were the works and words of God, therefore no one could stop or destroy the expansion of the Lord Jesus’ gospel. The Bible says, “For if this counsel or this work be of men, it will come to nothing: But if it be of God, you cannot overthrow it; lest haply you be found even to fight against God” (Acts 5:38-39). That is to say, anything that comes from God will thrive and anything that comes from man will surely decay. Almighty God’s words say, “We trust that no country or power can stand in the way of what God wishes to achieve” (“God Presides Over the Fate of All Mankind” in The Word Appears in the Flesh). 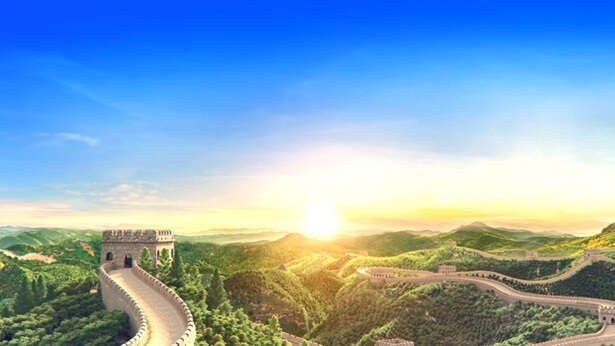 Similarly, if Eastern Lightning wasn’t the appearance and work of the one and only true God, would it have been able to break through the layer upon layer of obstructions, resistance and persecution thrown up by the religious world and the atheistic CCP government, like a bastion of iron walls, and spread rapidly throughout China and even throughout the rest of the world? If it was not guided by the work of the Holy Spirit, would it have the authority and power to make all nations flow to this mountain and all religions to become one? If it wasn’t the appearance and work of God, would it have been able to express the truth and execute judgment to conquer so many true believers of the various denominations, those good sheep and leading sheep, and make them follow with resolute hearts? The facts are enough to prove that Christ of the last days, the Almighty God that Eastern Lightning bears testimony to, is the Lord Jesus returned, and is indeed the God who has appeared and works in the last days. Therefore, Eastern Lightning is able to surge forward with unstoppable progress while facing the frantic persecution and cruel suppression of the CCP government and the religious world! We should also see that the disciples during the Age of Grace were able to follow the Lord, whilst being savagely persecuted both by Judaism and the Roman authorities, primarily because the Lord Jesus had expressed so many truths and had revealed the mysteries of the heavenly kingdom, and that people heard in His words the voice of God and recognized that the Lord Jesus was Christ, the Messiah who was to come, so they were able to follow Him with resolute hearts and spread their testimony of Him, just as Peter said, “Lord, to whom shall we go? you have the words of eternal life” (John 6:68). In the last days, Almighty God has expressed the entire truth that will allow people to attain purification and to be saved, and has performed His work of judgment beginning with God’s house. These words are what the Holy Spirit says to the churches, and they are the scroll and the seven seals opened by the Lamb as prophesied in the Book of Revelation (see Revelation 5:2-10). Christ of the last days, Almighty God, has issued forth millions of words that not only reveal all the mysteries of God’s 6,000-year management plan, reveal God’s purpose in His three stages of work to save humanity, reveal the background, behind-the-scenes information, and the substance behind each of the stages of His work, as well as the inside story of the Bible and the mystery of God’s incarnation, but they also cover myriad truths, such as how Satan corrupts mankind, how God saves mankind, how God does the work of judgment, how people are classified each according to their kind, mankind’s outcome and destination, and how Christ’s kingdom is realized. These words are not only a feast for mankind’s eyes and they allow people to broaden their horizons, but they also allow people to understand God’s work, God’s disposition and essence. Moreover, His words allow us to attain a change in disposition and be purified, and truly His words contain all the truths that we corrupt people need in order to be saved and perfected. The sheep of God hear His voice and the believers who humbly submit and thirst for the appearance of God have been thoroughly conquered by Almighty God’s words as they seek and study the true way; they have become certain that the three stages of work of the Age of Law, the Age of Grace, and the Age of Kingdom are the work of one God; they have truly and clearly seen that God’s real work and words are incomparable and cannot be substituted by any theories or knowledge wrought by mankind. His words are the expressions of the truth, and they verify that the incarnate Almighty God is precisely the Son of man returning in the last days and the appearance of the one true God. Therefore, all people prostrate before Almighty God and acknowledge Him as their Father, and they vow to follow Him till the end. This is why there are more and more truly faithful people who no longer fear difficulties and hardships and who follow Almighty God. Moreover, the key to understanding why Eastern Lightning is able to surge forward with unstoppable progress despite the savage persecution and cruel suppression of the CCP and religious world is to know God and know His work. If we are able to seek and study Almighty God’s work with a quiet heart, and read the words expressed by Almighty God, and if we can understand the three stages of work in God’s entire 6,000-year management plan, then it’s easy to see that the work of judgment performed by Christ of the last days—Almighty God—has been built upon the foundation of Jehovah God’s work in the Age of Law and the Lord Jesus’ work in the Age of Grace. There is no contradiction with God’s two previous stages of work, but rather they follow on from each other, each with their own part to play, inextricably linked and progressing step by step. The three stages of work are the work of one God; Jehovah, Jesus and Almighty God are one God, the God Himself who created the heavens, the earth, and all things. Take the Age of Law for example: God used Moses to proclaim His laws and commandments, to guide man’s life on earth, and so that they knew what sin was and how they should worship God. During the later period of the Age of Law, mankind became more and more deeply corrupted by Satan, and in spite of themselves they all kept sinning, and they were incapable of keeping the laws. As mankind’s sins daily increased, the sacrifices for their sins became fewer and fewer and they fell into an inescapable trap of sin. Gradually, mankind lost their reverence for God and they went so far as to sacrifice blind and lame livestock at the holy altar of Jehovah God, and so befell the danger of dying under the curse of the law. It was against this backdrop that a new stage of work became necessary in order for God to save man. This is because only God Himself—the Creator—could save the corrupted and depraved mankind and, for this reason, God became flesh and appeared in the form of the Lord Jesus to begin the redemptive work of the Age of Grace. He took the sins of mankind upon Himself and was crucified upon the cross as a sin offering for mankind, thus absolving all the sins of mankind once and forever. The Lord Jesus taught His followers that they should forgive and be patient, love their neighbors as themselves, and bear the cross to follow Him. He also taught people to do such things as breaking bread, drinking wine, washing the feet of others, and covering their heads. The Lord Jesus asked people to put more truths into practice, He required more of mankind than had been required of them during the Age of Law, and He brought man a direction to follow in the new age. As long as people believed in the Lord Jesus, confessed to Him and repented, then they could enjoy the ample grace of the Lord and obtain His redemption. The Lord Jesus brought the work in the Age of Grace and concluded the Age of Law that extended back for over 2,000 years. It was a newer and higher work carried out on the foundation of God’s work in the Age of Law. After we believe in the Lord, although we are forgiven our sins, justified by our faith, and saved, this just means that we are not of sin and that God doesn’t see us as sinners. Yet we still often commit sins and we live in a vicious cycle of constant sinning and confession and repentance. We don’t truly break the bonds of sin and, the moment the right circumstances arise, our corrupt satanic dispositions will be exposed in spite of ourselves, such as arrogance and conceit, vying for fame and fortune, crookedness and deceit, and lying and cheating. We cannot help sinning and offending the Lord, just as Paul said: “For to will is present with me; but how to perform that which is good I find not” (Romans 7:18). Clearly, our believing in the Lord Jesus and having had our sins forgiven does not demonstrate that we have been fully gained by God. It is because the root cause behind these sins, namely our satanic nature which resists and betrays God, has not been resolved. In this manner, even if God does not remember our sins and doesn’t treat us according to our sins, nonetheless we live in the flesh and have no way to cast off our sinful nature. Even if our sins were forgiven a thousand times or ten thousand times, and the Age of Grace went on for another two thousand years, we would still commit sin, and we would still defy and betray God, and be unable to break the bonds of our sinful nature. So for corrupt mankind to be fully saved from Satan’s influence, God must personally perform another stage of work, one which is more deep and thoroughgoing, to save mankind, and that will utterly resolve man’s satanic dispositions and sinful nature, thus enabling man to totally cast off Satan’s influence and be fully gained by God. Therefore, the Lord Jesus promised that He would return, and prophesied that He would prepare a more complete salvation for man. In fact, the Bible contains prophecies about God’s salvation in the last days where the First Epistle of Peter chapter 1 verse 5 says, “Who are kept by the power of God through faith to salvation ready to be revealed in the last time.” This verse of scripture clearly foretells: For we who follow the Lord Jesus, God has prepared salvation for us in the last days. So, what will this salvation in the last days actually be? The Bible says: “For the time is come that judgment must begin at the house of God” (1 Peter 4:17). “He that rejects me, and receives not my words, has one that judges him: the word that I have spoken, the same shall judge him in the last day” (John 12:48). “And I saw another angel fly in the middle of heaven, having the everlasting gospel to preach to them that dwell on the earth, and to every nation, and kindred, and tongue, and people, Saying with a loud voice, Fear God, and give glory to him; for the hour of his judgment is come” (Revelation 14:6-7). We can see from these scriptures that the “everlasting gospel” refers to the work of judgment beginning with God’s house, where God uses words as sharp as swords to judge and cleanse man. This is exactly the judgment before the great white throne mentioned in the Book of Revelation, and it is the work of separating the sheep from the goats and the wheat from the chaff, of separating each according to its kind, and of determining people’s ends and destinations. Almighty God says, “When it comes to the word ‘judgment,’ you will think of the words that Jehovah spoke to all the places and the words of rebuke that Jesus spoke to the Pharisees. For all their severity, these words are not God’s judgment of man, only words spoken by God within different environments, that is, different settings; these words are unlike the words spoken by Christ as He judges man in the last days. In the last days, Christ uses a variety of truths to teach man, expose the essence of man, and dissect his words and deeds. These words comprise various truths, such as man’s duty, how man should obey God, how man should be loyal to God, how man ought to live out the normal humanity, as well as the wisdom and the disposition of God, and so on. These words are all directed at the essence of man and his corrupt disposition. In particular, those words that expose how man spurns God are spoken in regard to how man is an embodiment of Satan and an enemy force against God. In undertaking His work of judgment, God does not simply make clear the nature of man with just a few words; He exposes, deals with, and prunes it over the long term. These methods of exposure, dealing, and pruning cannot be substituted with ordinary words, but with the truth that man does not possess at all. Only methods of this kind are deemed judgment; only through judgment of this kind can man be subdued and thoroughly convinced into submission to God, and moreover gain true knowledge of God. What the work of judgment brings about is man’s understanding of the true face of God and the truth about his own rebelliousness. The work of judgment allows man to gain much understanding of the will of God, of the purpose of God’s work, and of the mysteries that are incomprehensible to him. It also allows man to recognize and know his corrupt substance and the roots of his corruption, as well as to discover the ugliness of man. These effects are all brought about by the work of judgment, for the substance of this work is actually the work of opening up the truth, the way, and the life of God to all those who have faith in Him. This work is the work of judgment done by God” (“Christ Does the Work of Judgment With the Truth” in The Word Appears in the Flesh). We can understand from God’s words that: In the last days, God does the work of judgment and expresses all the truths that judge, cleanse and save mankind, He makes known to all people His work, His disposition, and what He has and is and, moreover, He exposes and judges all the corrupt dispositions of man from their having been corrupted by Satan, and the truth about their corruption, so that mankind can better understand His will, have true knowledge of Him, and truly understand the source and substance of man’s corruption by Satan. Furthermore, the work of judgment also allows mankind to truly gain the truth, the way, and the life bestowed by Christ of the last days, thereby changing their old ideas and dispositions, utterly purging them of their sinful nature, and making them into people who possess the truth and humanity, who truly obey God, who live out a true human likeness and who thoroughly attain God’s salvation and are gained by God. Almighty God’s work of judgment is the more thoroughgoing salvation that is built upon the foundation of the Lord Jesus’ work of redemption, and it is also God’s final stage of work that concludes His 6,000-year management plan, which is the work to conquer and perfect man; this is truly the complete salvation revealed in the last days, which God has prepared for us. Brothers and sisters, that’s enough fellowship for now, and I trust that you have gained some understanding about why Eastern Lightning still surges forward with unstoppable progress, despite the frantic persecution from the CCP government and the religious world. It is precisely because Eastern Lightning is the appearance and work of God in the last days. Almighty God is the arrival of the Savior—Christ of the last days; His work of judgment is the salvation that appears in the last days which all true believers have yearned for for so long. Therefore, the kingdom gospel of Almighty God has been able to spread at blazing speed throughout all of mainland China, and even expand to every country and land of the world. Dear brothers and sisters, when faced with the appearance and work of God, what choice should you make? The Lord Jesus said, “My sheep hear my voice, and I know them, and they follow me” (John 10:27). If you do understand, then what are you waiting for? Next：Why Is the Religious World Always Frantically Resisting and Condemning God’s New Work?